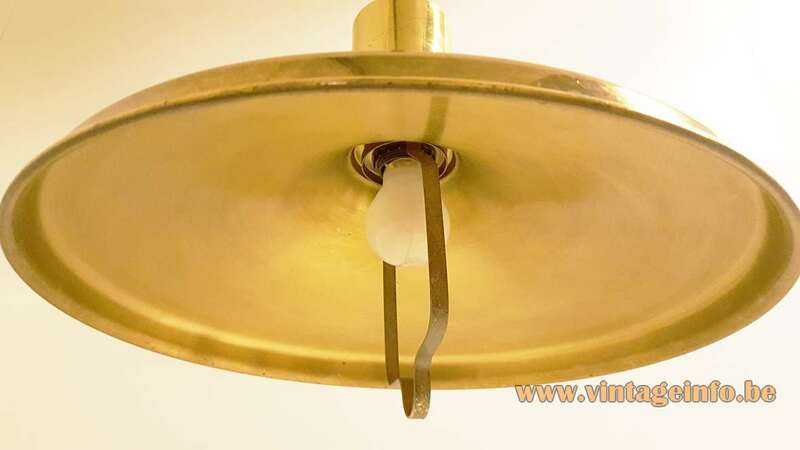 Materials: Round light completely made of brass. Bakelite socket, rise & fall mechanism. Cord Length: It has an adjustable rise & fall mechanism (40 – 140 cm / 15.74 – 55.11), and can be easily adjusted in height by pulling the brass bar underneath. 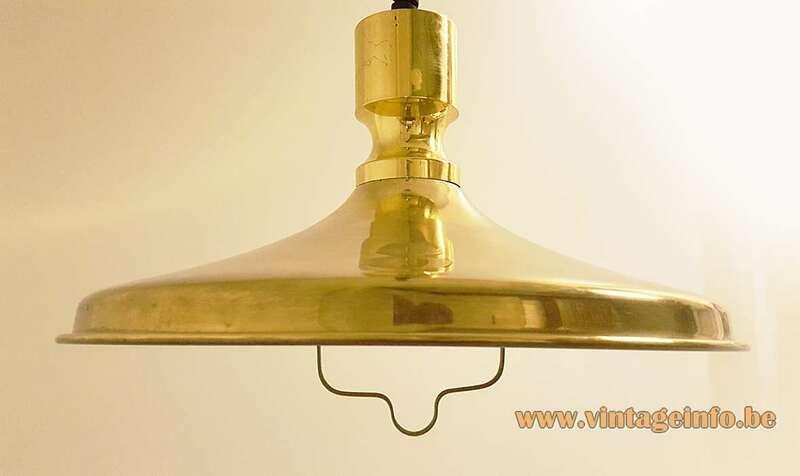 Vitrika was founded in 1948 by a designer, a salesman, and a craftsman. The name comes from the Danish words “vi tre kan” (we three can). 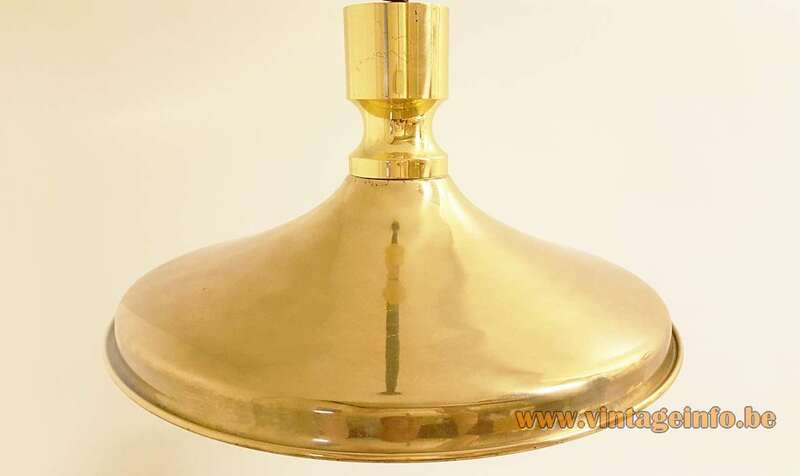 They had their own very unique style and mostly made their lights out of metal; brass alloy or copper and glass, and always of outstanding quality. 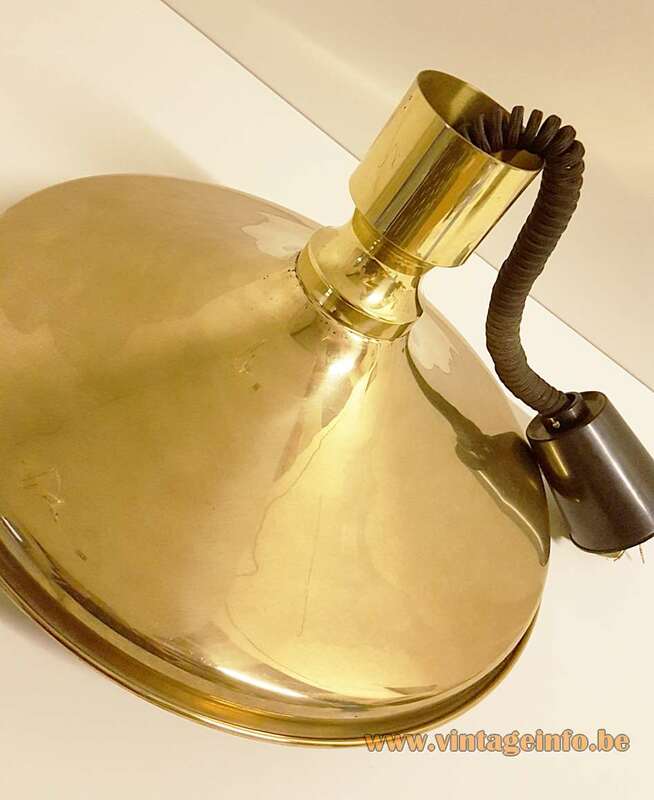 Vitrika kept producing lamps until 1996 when they re-located the company to Gørløse, also in Denmark and changed their name into Junge & Vitrika. 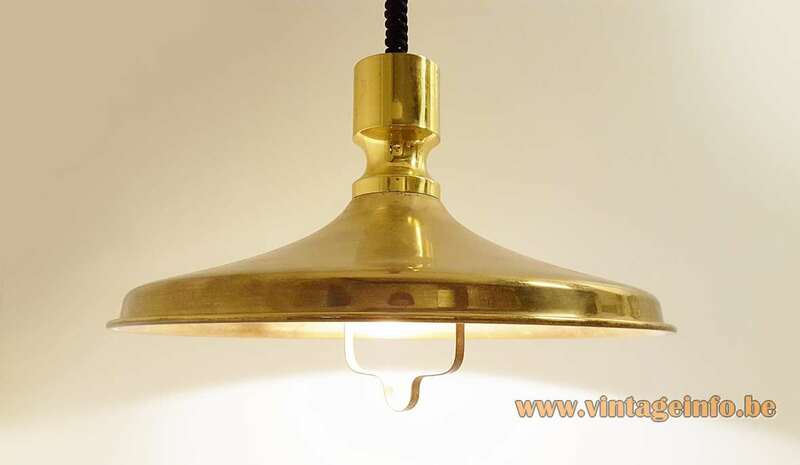 Today they are a wholesale business in light bulbs and electric parts for lamps such as transformers, switches and fuses, and they go by the name JV Lighting. 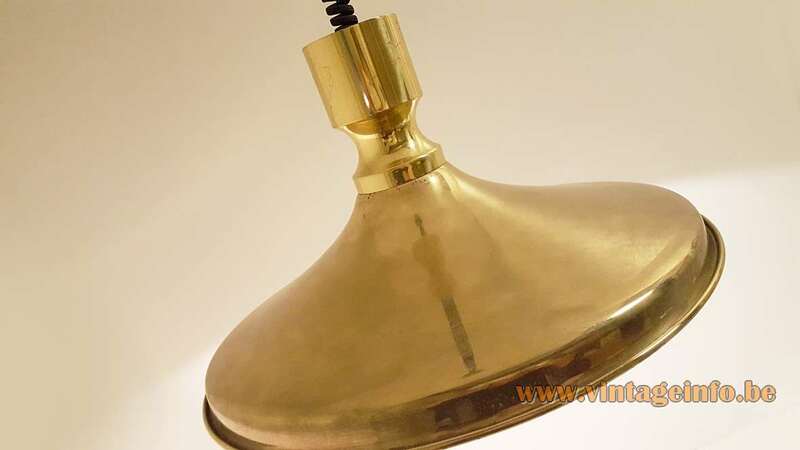 They still produce some lighting: light fixtures and wall lamps for office and warehouse and magnifying glass table lamps. Their official name is still Junge & Vitrika though.